Chinese Smartphone maker Gionee announced the launch of two smartphones from its new flagship A series. Gionee A1, the first smartphone from the series packs a 20MP front-facing camera for selfies. The A1 will be powered by a MediaTek Helio P10 MT6755 processor along with 4GB RAM and 64GB internal storage. It will come with a 5.5-inch Full HD Amoled display with an effective resolution of 1920 x 1080. The smartphone comes along with an expandable storage slot that supports microSD cards up to 128GB. The smartphone packs 16MP camera module with f/2.0 aperture and fixed focus on the front along with a flash unit. The company has added a 13MP camera module on the rear with f/2.0 aperture, autofocus and LED flash unit. Gionee has added 4,010 mAh battery in the smartphone and will run on Android Nougat 7.0 out of the box. The smartphone comes with a Dual SIM slot, 3.5mm headphone jack, Wi-Fi, Bluetooth and others. “We have noticed that more and more people are regarding selfies as an expression of themselves and they tend to share their photos through various social channels whenever and wherever they are. As a consumer-oriented smartphone manufacturer, we hope to set up the evolution of the selfie experience and provide the best portfolio at the best price,” added William Lu, President for Gionee. 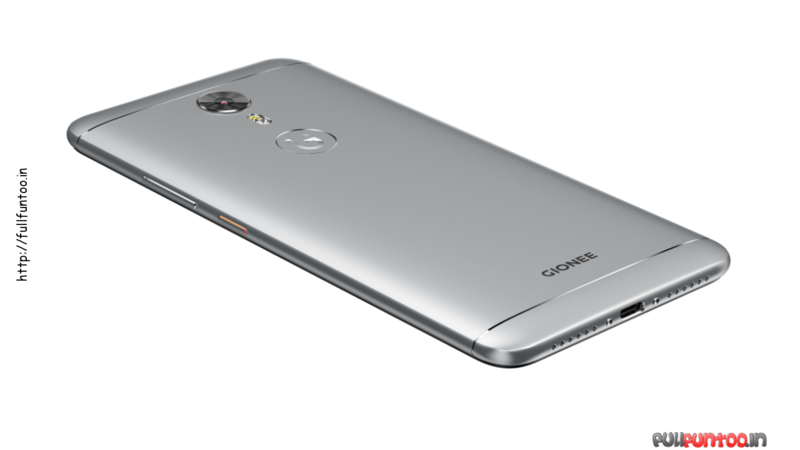 Gionee A1 Plus is the second smartphone launched by the Chinese smartphone maker. A1 Plus will sport a 6.0-inch Full HD display with an effective resolution o of 1920 x 1080. It comes with a 20MP front camera and a Dual camera setup with a 13MP Camera sensor and a 5MP camera sensor. Both the sensors of the dual-camera setup have an aperture of f/2.0 and autofocus. The smartphone will be powered using a massive 4,550 mAh battery while running on MediaTek Helio P25. One thing to note is that the smartphone will run Android Nougat 7.0 out of the box. A1 Plus comes with a 64GB internal storage and an expandable storage slot that allows users to add microSD cards with a capacity up to 256GB. Similar to A1, the company has offered similar connectivity options to the A1 Plus and will be powered by Android Nougat 7.0 out of the box. The smartphone will sport ‘Ultra Charge’ Technology that will ensure that the entire battery is charged in 120 minutes. Last but not least, both the smartphones will come with an enhanced camera experience where the facial recognition system and algorithms will enable a bokeh-selfie mode that will enable blurred backgrounds for better sense of depth.